Dirge of Cerberus: Final Fantasy VII | Binary Messiah - Reviews for Games, Books, Gadgets and more! This is one of those games that Final Fantasy fans don’t want to admit they played. 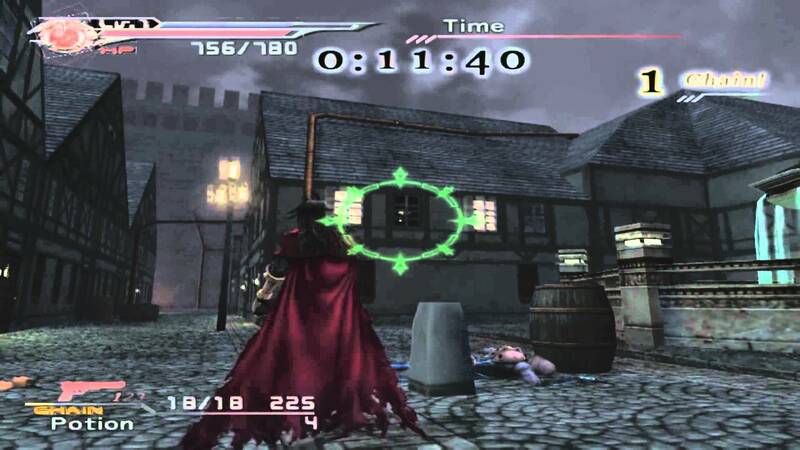 It got a lot of hype when it came out because it was a shooter set in the FF universe, that’s very odd and abstract from the typical JRPG formula. Many people didn’t have high hopes for it since Japanese gamers don’t really play shooters, but I passed it up due to the flack and poor reviews it got. It came out at the tail end of the PS2 life cycle and was overlooked by the hype of the next generation and many other games coming out. This was one of the projects for the Final Fantasy VII extension. This game tells the story of Vincent Valentine and how he came to be and delves deeper into his relationship with Lucrecia, the FF7 team, Hojo, and a few other characters. Honestly, the story is very confusing unless you have played FF7 already, in fact, all the FF7 projects make no sense unless you have played the PS1 classic. I never played it as a kid so the story made no sense. Even if I had, it’s pretty dry and dull and uninteresting until the very end. Vincent doesn’t really say too much and the story is poorly edited and feels chopped up and mixed around. The action is at least half-way decent and pretty fun. You get three different guns in the whole game, a pistol, machine gun, and sniper rifle. You can customize these weapons with different barrels, materia for magic, and various other effects. It’s nice to see this in an FF game, but the customization feels very limited due to the limited gun types. Like a Final Fantasy game, you can use various potions, limit breakers, and phoenix downs which revive you when you die. The game has the Final Fantasy vibe all around it, but the action part is lacking greatly. It feels fast paced and snappy, but the game is linear to a fault and offers almost no challenge. I blew through boss after boss without even dying or losing much health. Once you level your weapon parts up enough you are unstoppable early on. You chew through enemies like candy and there is just a huge lack of challenge. There are a few turret sections, a couple of cinematic on-rails segments, and that’s about it. 90% is running around the same bland environments shooting the same bland enemies for 6 hours. There is some melee combat thrown in, but it’s very weak. Just a quick 3-hit combo, but when you are in beast form you are more powerful using melee attacks. There are items scattered all over the place and hidden items for extra endings and whatnot. It’s the same dated shooter stuff with keycards to open gates, button pressing, and other dated shooting mechanics. The game is only fun because the environments change up a lot, but they are still bland no matter what. The enemies repeat often and this really weakens the game. The hallways can be so small that they are the width of Vincent himself which just feels restricting. On top of all that, the game is just poorly balanced. I stuck with the pistol through the whole game because switching up weapons isn’t really necessary because the game is so easy. 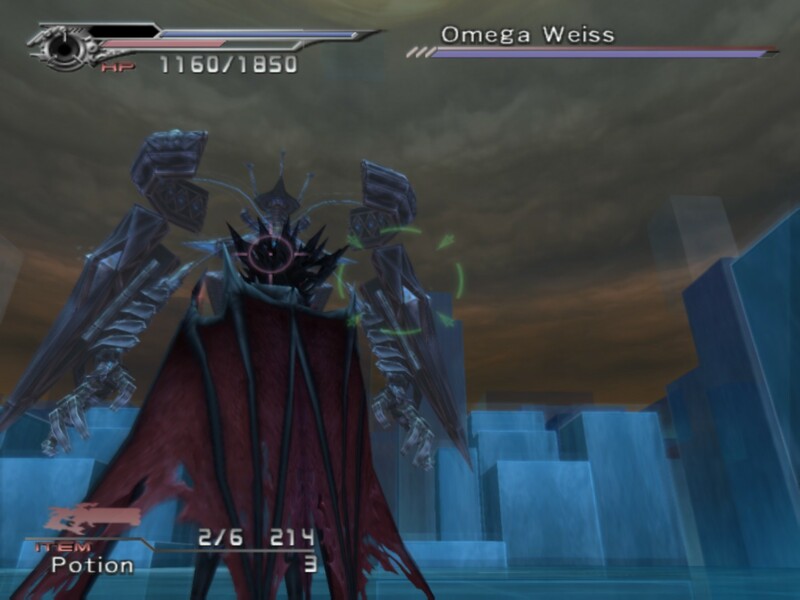 The final level is really awesome because Vincent is in Chaos form and you are mega powerful, but it’s all a ruse to JRPG players who aren’t veterans of shooters. You can tell this game was geared toward casual players and really just FF fans. The confusing story is evidence to that. Overall, Dirge of Cerberus is a fun weekend rental but nothing more. Non-Final Fantasy fans won’t really care for this because there are much better shooters on the PS2 that offer more depth and better stories. Final Fantasy players won’t really like it because it’s too action heavy and gives a false sense as to how shooters really play out. It tries to run a middle ground and veers off constantly with no real direction. A few months of polish would have done this game some good. It’s a nice departure from the series and an interesting side project. It doesn’t really fail but rides on the borderline of being a bad shooter.